In this summer and recent summers, severe storms and floods have affected communities across Wisconsin. Flooded neighborhoods, washed out roadways, damaged infrastructure, decreased water quality, and degraded fish and wildlife habitat seem to be increasing. The loss of wetlands, especially wetlands in the upper portion of watersheds, contributes to these flood-related problems. The restoration of these upper watershed wetlands can be a cost-effective way to reduce future flood damages. Why are upper watershed wetlands so important? All wetlands help capture and control the movement of water across the landscape. Water moves across the landscape in watersheds: geographic areas where all the water flows to a single outlet, like a lake, stream, river, or wetland. Because water flows downhill, what happens at the top of a watershed has a strong effect on conditions downstream. This means that wetlands in the upper portion of a watershed are particularly important for managing the timing, volume, and direction of surface and groundwater flow within the rest of the watershed. How do upper watershed wetlands reduce flood damage? 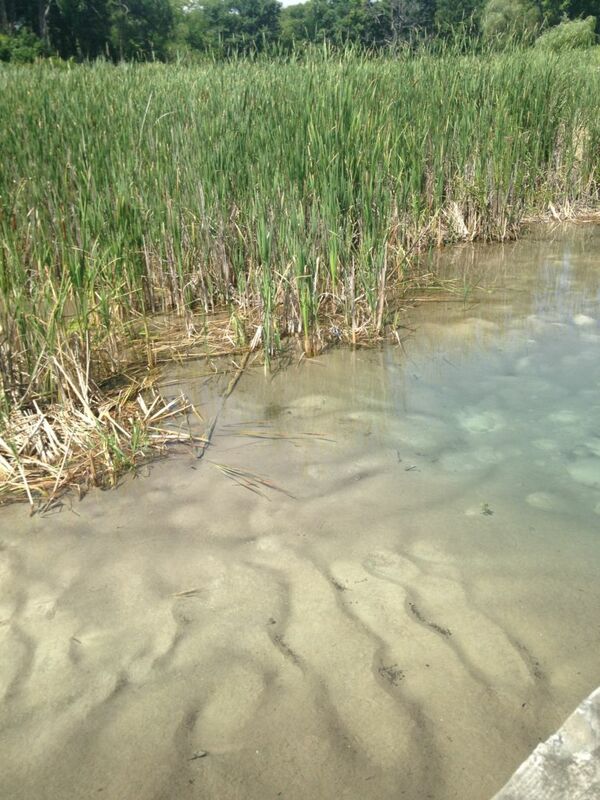 The three most common types of upper watershed wetlands that affect surface and groundwater flow are springs and seeps, ephemeral ponds, and riparian wetlands. They form under different conditions, but all are important in managing how water moves through a watershed. Springs and seeps form where groundwater rises to the surface. 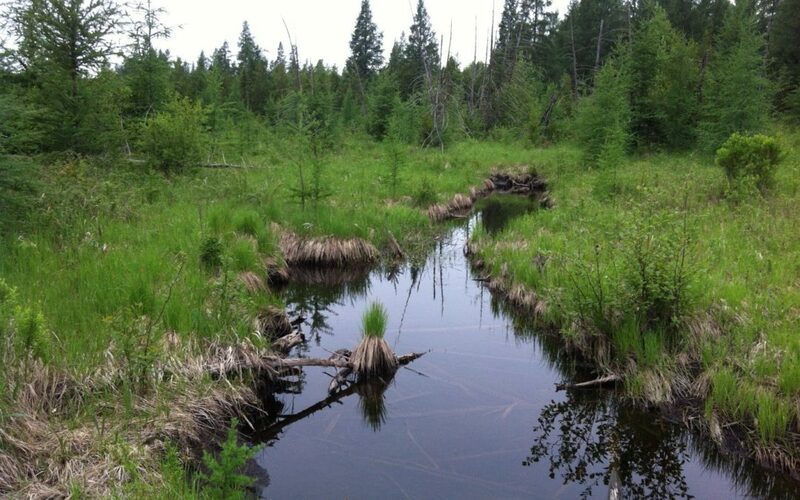 These wetlands support the development of small flow channels at the top of a watershed and feed a continuous supply of cold, clean water to small creeks and other waters downstream. In healthy landscapes, the water from springs and seeps moves slowly and may cycle above and below ground several times before discharging to a perennial stream. This low energy flow pathway prevents the water from eroding stream banks and carrying sediment and debris along with it. Ephemeral ponds form in low-lying depressions and receive and store rain and snowmelt. Most have standing water in the spring and early summer but dry out by late summer or early fall. Though each pond may be small, these ponds are abundant on the landscape and collectively store a large amount of water. Ephemeral ponds release their stored water slowly over time, reducing the flashiness of the water that moves downstream. Riparian wetlands form in the floodplains of and alongside streams and creeks in the upper part of a watershed. They may be shrubby, forested, or meadow-like. In healthy watersheds, the floodplain wetlands are connected to streams, enabling storm water to spread out and slow down. Plants in floodplain wetlands provide friction that further slows the flow, captures sediment, and reduces the water’s erosive energy. What happens when upper watershed wetlands are lost? Wetlands in upper watershed areas capture and slowly release snowmelt and spring rainfall. When these wetlands are removed, more water moves more quickly downstream, causing flood waters to rise higher and flow faster. The larger, flashier floods that occur following wetland loss mean an increase in the energy of the water. High energy water means more erosion and alteration of stream channel form. Sediment and pollutants are carried downstream, clogging streambeds and wetlands in the lower, flatter portions of the watershed. As erosion continues over time, the high energy water cuts stream beds lower and lower. This is called incision. These incised conditions disconnect the stream from its floodplain, cause the stream to act like an agricultural drainage ditch, and lower groundwater levels. Incised channels also concentrate water flow during flood events, further increasing erosive energy and high water conditions downstream. How can restoring upper watershed wetlands help solve our flood problems? 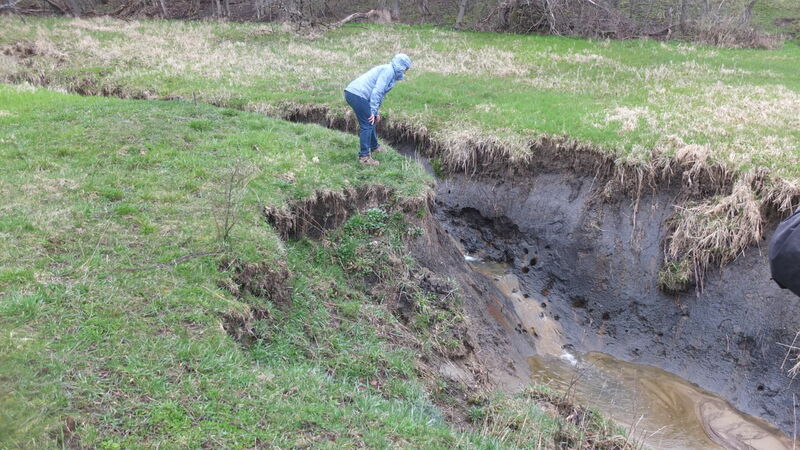 Restoring wetlands in the upper portion of watersheds can help protect Wisconsin’s communities by reducing the volume and velocity of water rushing downstream during snowmelt and storms. Because every watershed is unique, communities must take the time to evaluate the extent and locations of upper watershed wetland loss and establish plans to restore wetlands where they are most needed. Help us make the case that wetlands can help reduce flooding! The typical community response to floods is to immediately rebuild. It’s rare for emergency managers to look upstream and consider how land use changes, including wetland loss, are contributing to flood risks and damages. This status quo approach will continue unless advocates like you demand something different. If flooding is a problem where you live or work, ask local leaders to evaluate how changes to the upper watershed wetland landscape have contributed to today’s floods, and advocate for planning to identify areas where wetlands can be restored to reduce floods. Help your community protect upper watershed wetlands.